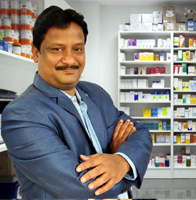 Mr.Nagarajan is a respected leader in the area of Pharmacy in Tamilnadu. He is the Founder Chairman of the reputed M/s K.M.College of Pharmacy at Madurai. Mr. Nagarajan has done his M.Pharm & MBA. He had worked as a lecturer at Madurai Medical College from 1967 to 1981 before starting his own college. He was a Senate and Syndicate Member of TN Dr. MGR Medical University, Chennai. Mr. Nagarajan owns/ has stakes in several other organizations. He is the Chairman & Managing Director of M/s Suryavarada Spinning Mills Limited since 1996. Mr. Tamilvendan is a qualified pharmacist has now 20 plus years of experience in the field of pharmacy. He started his career with Tamilnadu Government. He has worked in TN Government Hospitals, PHCs & ESIs in the years 1993 to 2001, before starting his entrepreneurship journey. In the year 2002, he started a conventional pharmacy, M/s Vendan Medicals at his native town, Kumbakonam, Tanjore district, Tamilnadu. A 24/7, round the clock and open round the year, this pharmacy is located at the Main Bus terminus (Bus stand) at Kumabakonam, Vendan Medicals has grown to become the largest pharmacy at Kumbakonam within a year of its commencement. In the year 2012, he has added another branch at Mutt Street, Kumbakonam serving their customers round the clock, like the first shop. Vendan Medicals is a very familiar name among the residents of the town, known for its unparallel services. Mr. Tamilvendan is the State President of Tamilnadu Pharmacist Welfare association and Community Wing Chairman of Indian Pharmaceutical Association. 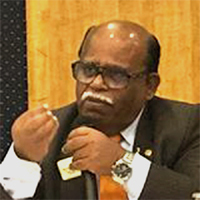 Mr. Tamilvendan is also a global entrepreneur, having built a retail business at Sharjah, UAE and at Singapore, in which he continues to hold ownership and runs through his associates. With the advent of eCommerce revolution globally and in India, Mr. Tamilvendan has decided to embark his journey in the pharma business, that has huge potential in terms of reach and scale. The door delivery platform also helps to provide high quality medicines as prescribed by the doctors, at a much affordable price (substantially lesser than what is offered by conventional pharmacies) to a large section of people. He has started Vpharmacist in August 2017 with operations at Chennai. Vpharmacist plan to expand to other cities in India soon.